It's winter holiday time, and our royals have headed for the slopes. And you know what that means, don't you? A dose of royal kid shenanigans, that's what. But the question is: who wins the royal ski bunny competition? Frederik and Mary and their fantastic four headed for Verbier, where they win because of poufs and animal hats. And because of Isabella, of course - she's made of win and she can't help it. Click here to see a photoset and here to see a video. 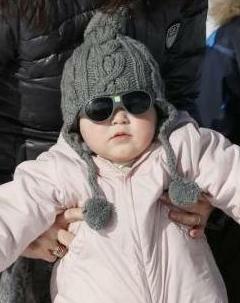 Joachim and Marie and their own fantastic four holiday in Villars, where they won the royal slope competition because BABY SUNGLASSES I MEAN COME ON ARE YOU KIDDING ME. Click here to see more photos. 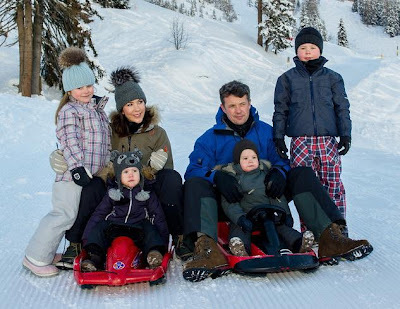 And finally, the Dutch royal family headed for their regular vacation in Lech. Who's your favorite royal ski bunny?